Food safety standards are technical regulations that stipulate the provisions regarding the hazards in food that could have adverse impacts on consumers’ health. Food Safety Law mandates the terms of reference for food safety standards, and identifies them as the only “mandatory standards” related to food. As with food safety regulations issued by other countries, the principles of food safety risk analysis are applied to the draft of the Chinese food safety standards. In order to determine the health protection level that best suits our country, the food safety standards are built based on food safety risk assessment, taking into account of the development of economy and the reality of food manufacture and trade. ——methods of testing and inspection, formed by mainly Part 7. According to Administrative Measures on National Food Safety Standards, the development of a National Food Safety Standard includes programming, planning, initiating, drafting, commenting, reviewing, approving and proclaiming, amending and reexamining. The 8-step procedure is described in detail below. The National Health and Family Planning Commission will release a call-for-proposals that any organization or individual may answer. After consulting with National Committee for Food Safety Standards and circulating a draft plan on-line for comments, National Health and Family Planning Commission publishes the annual plan. Organizations with the capability to develop the specific National Food Safety Standards is chosen and the draft is prepared. The draft is circulated for comments by mail and on-line. The World Trade Organization notification is filed at the same time. 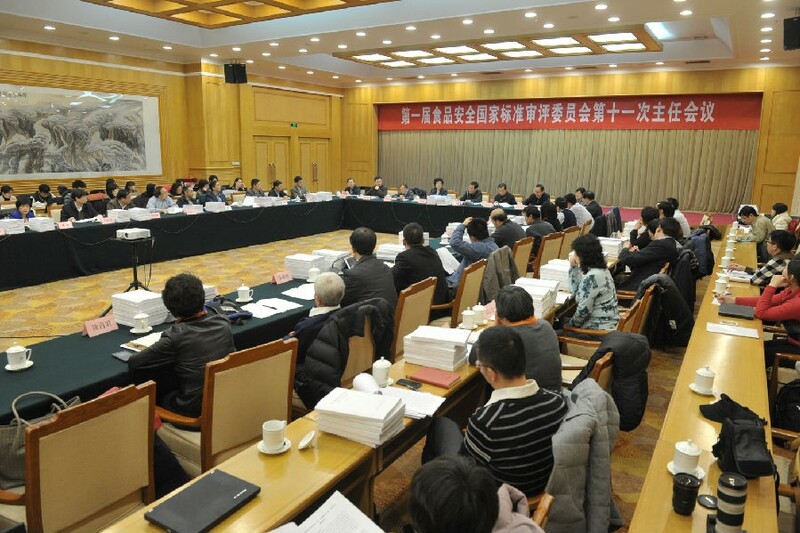 The comments are collected and studied by the drafting organization, and the draft is to be modified. The National Committee for Food Safety Standards reviews the drafts. The National Health and Family Planning Commission approves the standard and releases the standards on-line as a proclamation. The National Health and Family Planning Commission organizes National Committee for Food Safety Standards and other agencies and organizations to conduct follow-up studies and examination on the implemented provisions. Amendments to existing National Food Safety Standards are published as proclamations in a small number of cases where this proves necessary. National Food Safety Standards are to be reexamined by National Committee for Food Safety Standards when appropriate, such as when questions concerning the validity, revision, or repeal of the standard are raised.